coolAltitude is easy to use tool designed for pilots to help them with calculations of temperature corrections during and approaches in cold weather. It can decode reports from information. The strength of the tool lies in the amount of values you need to enter. Nobody is really willing to fill a lot of data to get simple calculation result. So the only data you need to enter are Intermediate approach altitude Descent angle of the approach Minimums Runway elevation And, of course, the temperature at the airport MSA and Go Around altitudes, if required Optionally you may need to enter shift to work with ’s offset from runway threshold. Optionally As a reward for your effort you get in graphical and handy form Temperature corrected altitudes for all entered values Temperature corrected altitudes for altitudes above the intermediate approach altitude Temperature corrected altitudes for all relevant distances rounded in the way which makes them easy to use Temperature corrected descent angle for enabled airplanes Pressure altitude of the airport in hectopascals Table with temperature corrected (and uncorrected) values of vertical speeds (ft/min) during descend for different ground speeds (kt) Table with conversion between values in meters and values in feet, of course with temperature corrected altitudes as well. All optimized for use in Russian regions Decoded including braking actions based on friction coefficient according as well as Normative/CIS scales. It provides (experimental) recommendation for braking actions based on runway contaminant and airport temperature. Corresponding aviation authority can certify this tool. It must be the part of operator’s package. Otherwise it cannot be used in real operations. 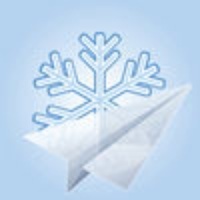 Check these links to find your download for coolAltitude for & iOS or for your device iPadiPod TouchiPhone. The app coolAltitude is compatible with te following devices.